Branding, by definition, is a process involved in creating a unique name and image that is easily identifiable as belonging to that specific person, business or company. This helps to distinguish said person or business from other products and services. But, branding is so much more than just a logo or company colours! Branding is the emotional relationship between you and your consumer. It covers everything you say or do as a business, even if your business is just you! 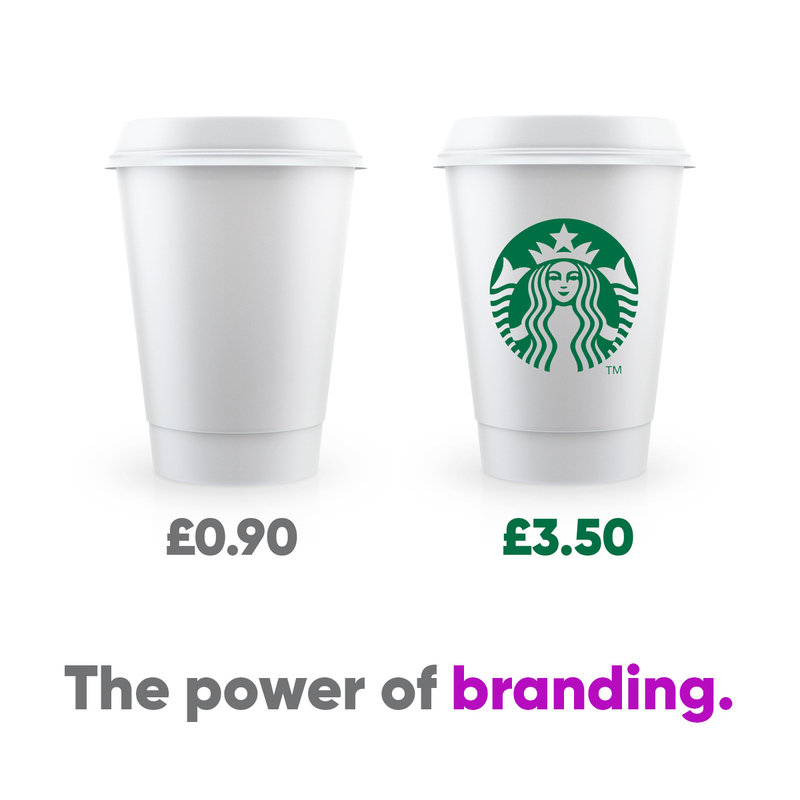 Anything that forms an impression of your business is your ‘brand’. Your ‘brand’ is the public face – the personality – of your business, and every element of your business helps to build it, from your logo and packaging to the way you write emails and social media posts. Your brand should be a true representation of who you are as a business, what you stand for and how you wish to be perceived. A strong, consistent brand helps to establish your business, making it easier for your customers to remember, recognise and recommend your products or services. This should start with your logo (which you should apply to everything – your website, business cards, social media profiles, promotional products), and also come into play in your customer relations. Branding is the first impression your company will have on a prospect, and in order to form a bond with a customer it needs to be transparent and authentic. Customers are more likely to care about a brand when they understand what the direction of the company is and “buy-in” to the feeling the brand portrays. A strong brand usually indicates a positive impression among consumers, and new customers are likely to do business with you based on familiarity and assumed dependability of a trusted company. When your customers eventually choose to convert and make a purchase, your branding will either make or break the relationship. If your customers have a good experience that doesn’t just end with the purchase decision, then they are more likely to return in future. Loyal customers are more valuable, since your company only has to get them through the sales funnel once. Great branding retains customers who then tell others about their experience, and consumer advocates are the most valuable marketing tools your business can use to increase your customer base. If you want your employees (or future employees if you’re just starting out) to take pride in their position, a well-respected brand with strong values can achieve this. Your employees will be proud to tell others about their job, feel confident having your name on their CV, and feel a sense of belonging which increases employee retention. Effective branding also implies that you are industry experts. A professional appearance with strong branding is important when it comes to being trusted by consumers, clients and suppliers. It goes without saying that people are more likely to do business with a company that has a polished and professional brand image. It’s much easier to create strong and effective advertising campaigns if you have a strong brand! Advertising can be costly, so you want to make sure that your advertising concepts, designs and placements are built with purpose and informed by your brand. So, is your branding really working for your company? If you’re looking for some guidance and advice on improving your existing brand or starting one from the ground up, you’ll want to reach out to a good company that will ask the right questions to help establish your brand values and get you on track. Professionals will be able to get to the heart of your company and create a message and look that communicates effectively to your targeted audience. Are you ready for an improved brand to present to your customers and employees?